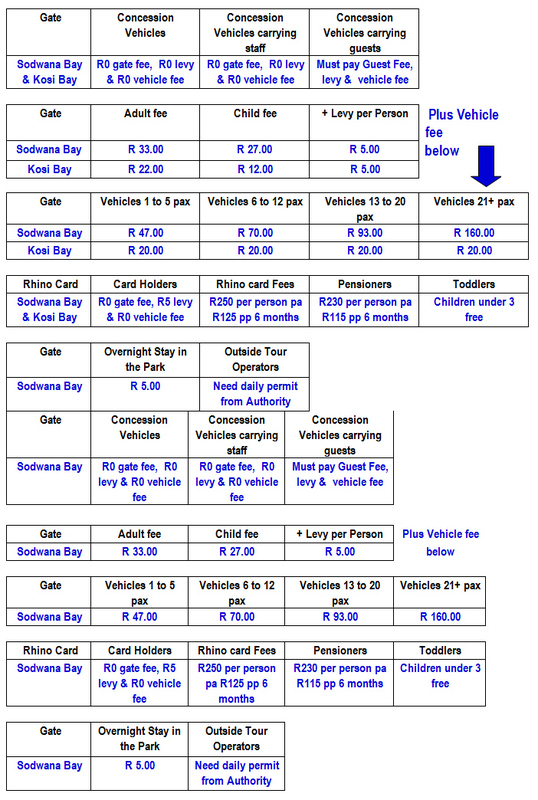 The following is a breakdown of new KZN Wildlife gate fees effective from the 1st November 2014. The Authority wish to standardise the gate fee for all parks, so guests at Sodwana Bay will now be charged a vehicle fee in addition to the daily fee. This has probably come about because of guests walking through the gate and not paying. Concession vehicles will not be charged unless they are carrying guests, and walkers will not be made to pay. The Rhino card is now R250 per person or per child and guests will have to pay the additional R5 levy per person.